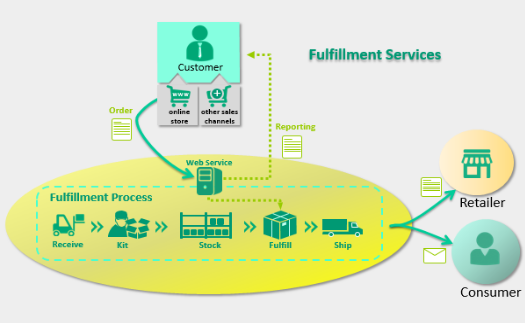 From Order Management to Packaging, you will experience superior execution to achieve Service Excellence. As an extended operations of yours, let us tailor our services to meet your operation needs, so you can stay focus on growing your business. 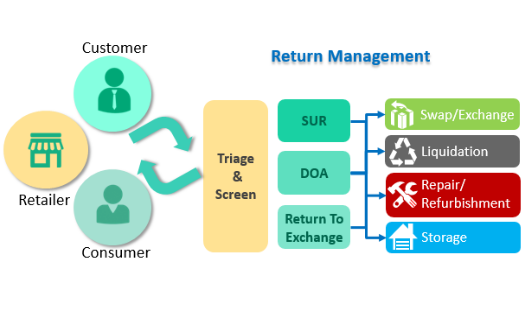 Undelivered package or RMA return, your product will be properly reused, one way or the other. 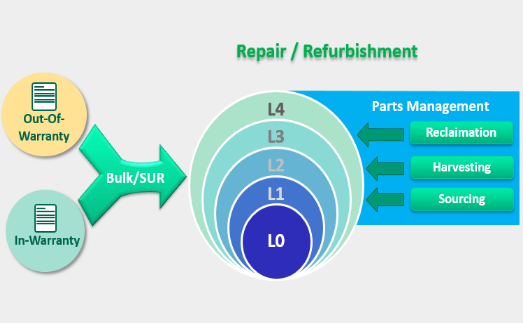 Looking for Bulk Repair or SUR (Same Unit Repair) options? Well, you came to the right place… guaranteed excellence!!! Experience efficient Returns processing and Reclamation. All with Best in Class Logistics handling. Don’t panic, there is always a way to monetize your inventory! We work with reputable liquidators to maximize the value. Our partnership with the R2 certified recycling networks helps to keep e-Waste from polluting drinking water and harming ecosystems.